As the final stop on this European trip, my husband and I spent the last 3 nights of our vacation in Brussels. 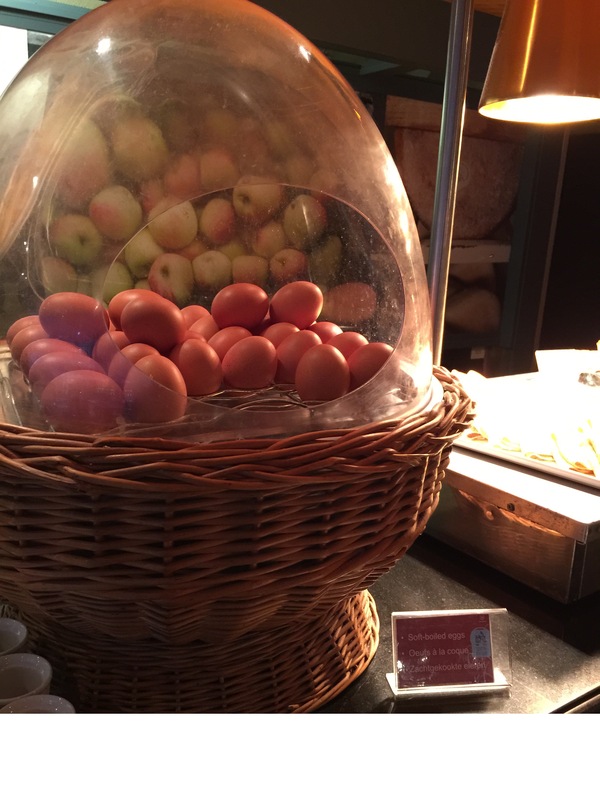 For our home base, we stayed at The Sheraton Brussels and much like our stay in London (One-O-One Restaurant) and Paris (Coquette), our hotel package included breakfast each morning at the hotel’s restaurant, in this case, Crescendo Restaurant. Since the Sheraton Brussels was more of a business hotel, and much larger than the previous hotels we stayed at in London and Paris, it wasn’t surprising that the Crescendo Restaurant was huge, as in it basically took up the entire 2nd floor of the hotel. With floor to ceiling glass windows looking out towards a major street in heart of the city and the buffet set up along 2 back walls of the restaurant, there was more than enough room for everyone to spread out and enjoy a nice, quiet, peaceful breakfast on their own. The spread was huge it was hard to know where to start, where to finish, and how much to pile on your plate. Luckily, this was a buffet and we could go back as much as our stomachs desired, and we were here for 3 nights we had an opportunity to sample as much as we wanted to. Let’s start with the drinks. 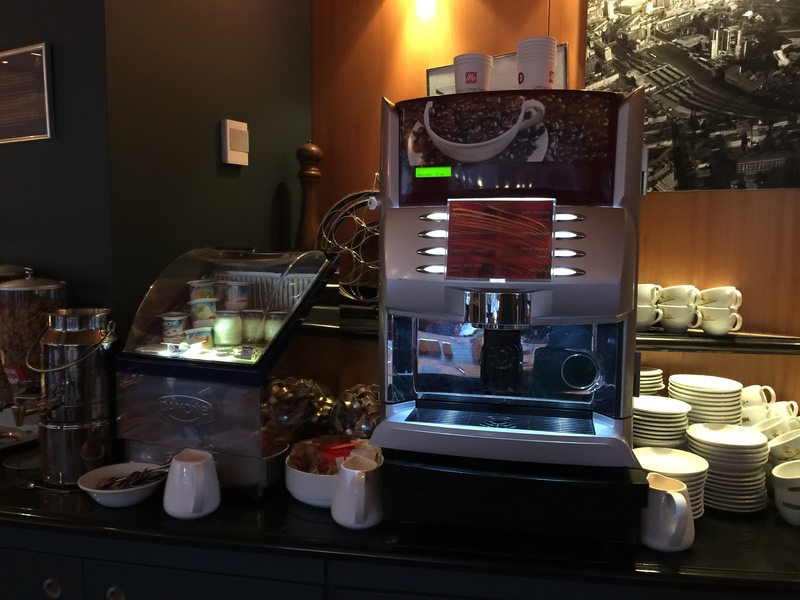 There was a great gourmet coffee machine which made cappuccinos and espressos and all sorts of fancy coffee drinks. Of course, there was also regular brewed coffee as well and tea for those who wanted a less caffeinated beginning to their morning. However, the one thing that excited my husband the most was the fresh squeezed orange juice machine. Orange juice is literally one of my husband’s favorite drinks of all time, and he loves fresh squeezed orange juice that much more. 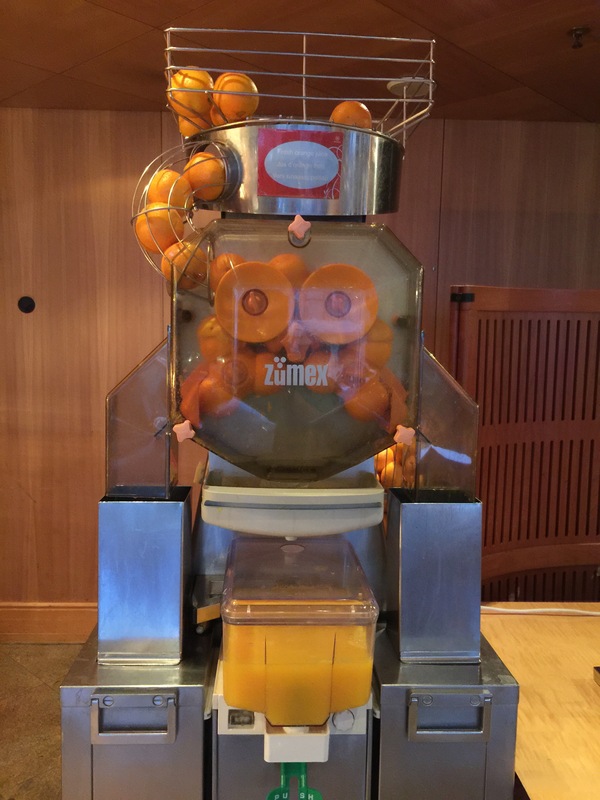 To see the actual fresh squeezed orange juice machine at the restaurant was so exciting for my husband. He must have gone back to the machine every morning for 4-5 glasses of orange juice. There’s just something about seeing the oranges fed into the machine and watching the orange juice just come flowing right out the other end. It just tastes so much better for some reason. Then there was the food. 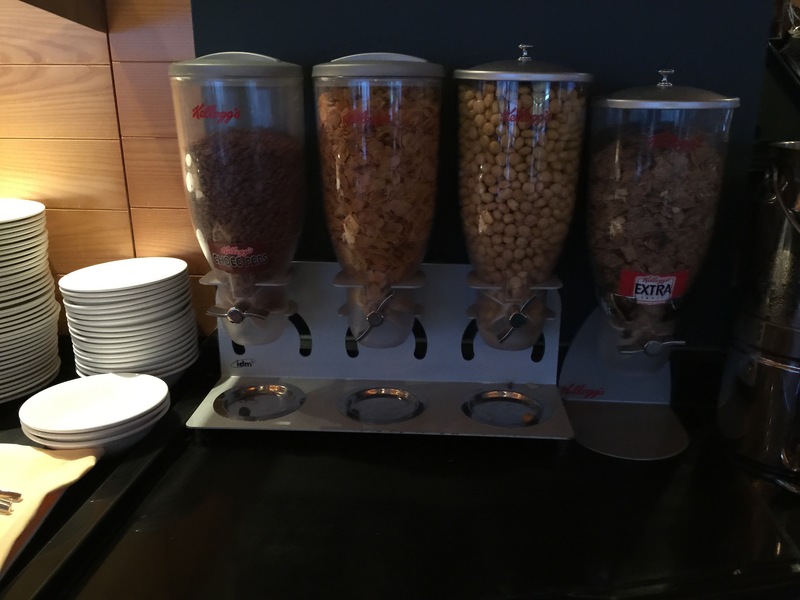 If you wanted the traditional cereal for breakfast, there were 4 different kinds to choose from. There was also oatmeal and yogurt in multiple flavors. However, there was so much else being offered I never even bothered with the cereal. There was a whole display of cold items. 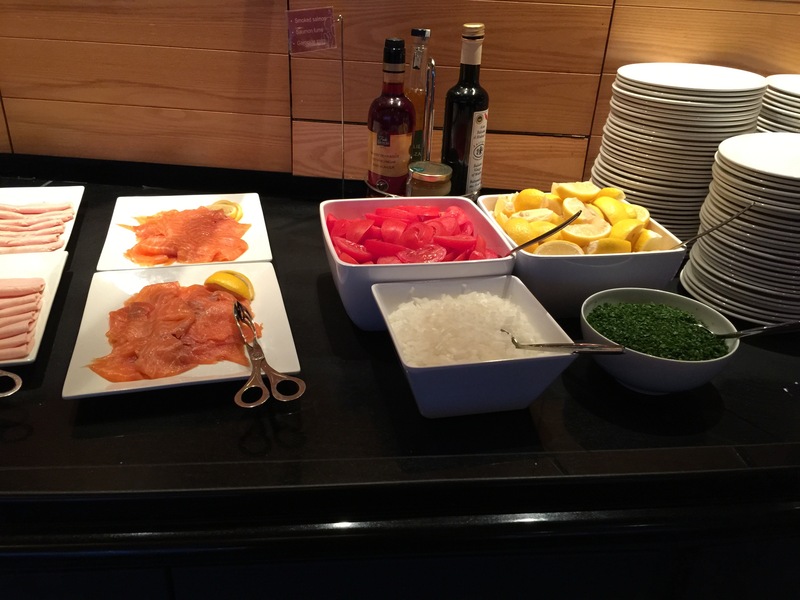 It’s a European buffet, so you need to have smoked salmon, and all the fixings that go with smoked salmon: diced onions, sliced tomatoes, lemon wedges and some chopped parsley. It’s all very Scandinavian. Then there was an assortment of all sorts of cheese. There was sliced cheese, cheese wedges, cow’s milk, sheep’s milk, hard cheese, soft cheese and everything in between. 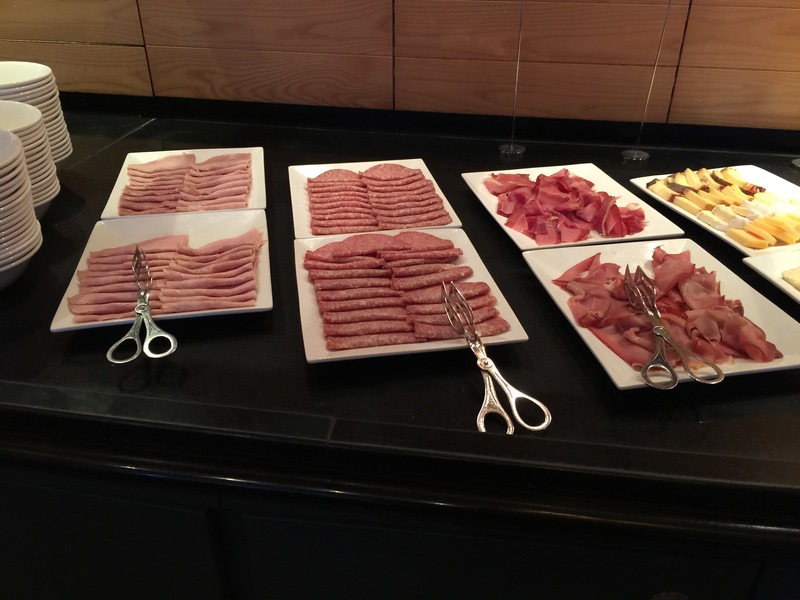 And of course, cold items in a breakfast buffet must include deli-sliced meats as well. 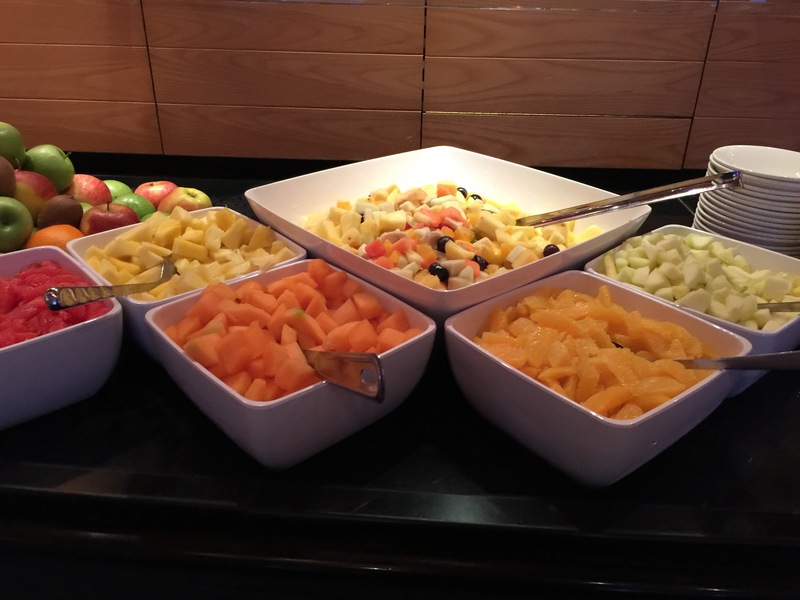 And finally, the cold selections also included a whole array of fresh cut fruit. Orange wedges, cut cantaloupe, cut honeydew melon, grapefruit wedges and of course a mixed fruit salad to go along with fresh whole apples, oranges and bananas. 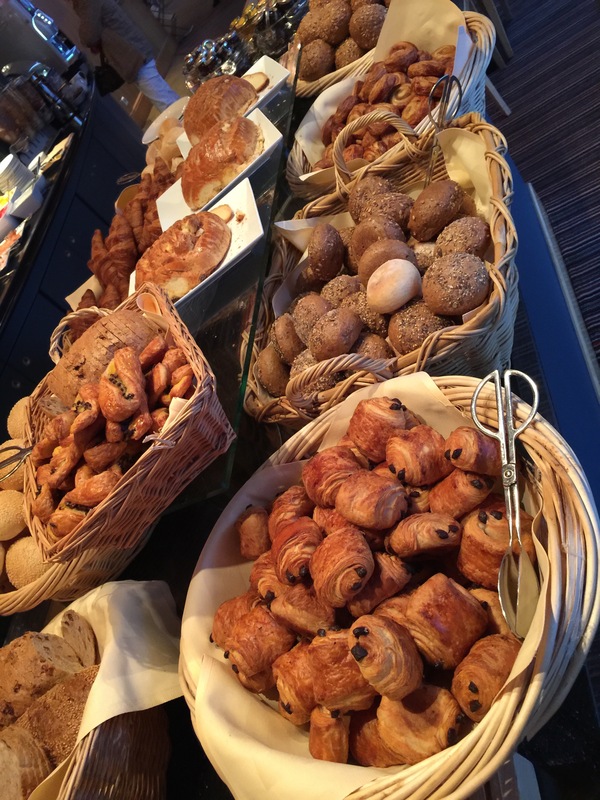 Can’t have a breakfast buffet without bread and pastries, and Crescendo Restaurant had plenty to offer. 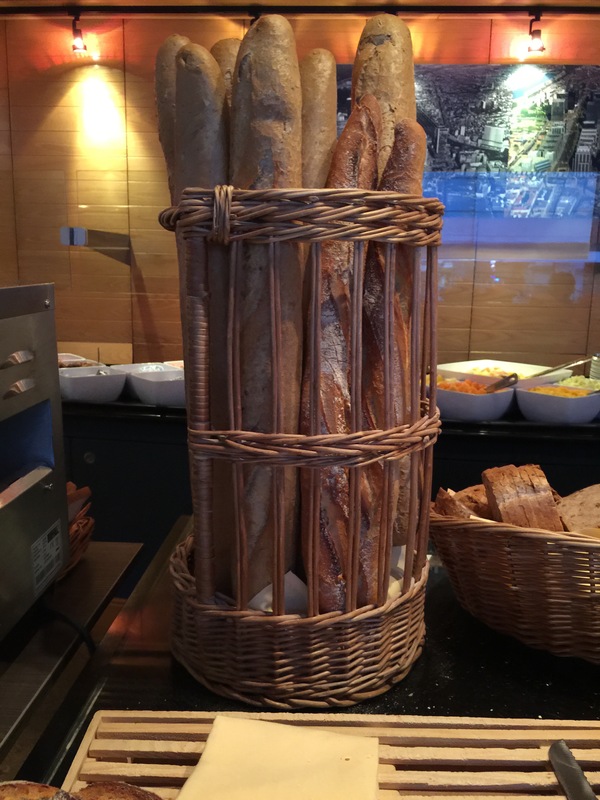 There was a basket filled with plenty of fresh baked baguettes that you could take and slice up on the cutting board. There was sliced white bread and wheat bread to toast up. And there were plenty of pastries from rolls, to chocolate croissants, to cheese Danishes and everything in between. And finally we come to the hot food offerings. 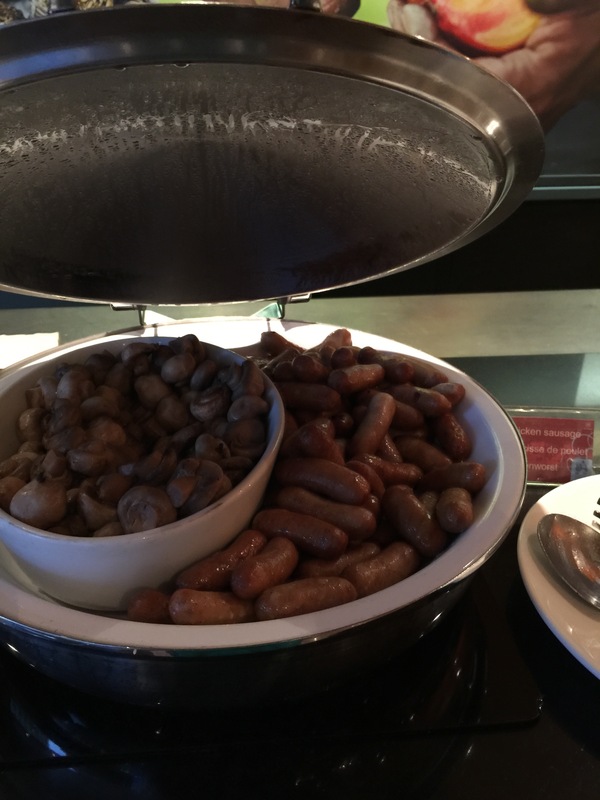 Really, the meat and bones of any buffet breakfast. 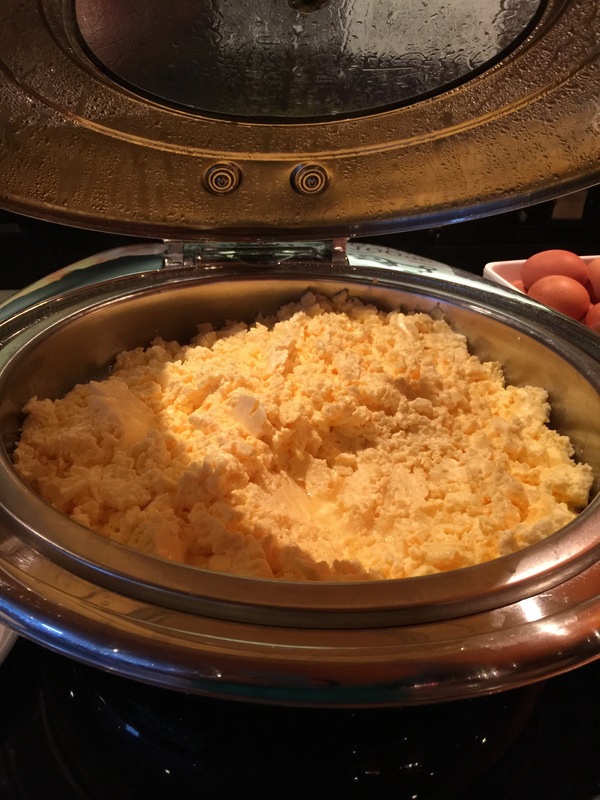 There was plenty of scrambled eggs, which my husband helped himself to quite a bit of. I’m really more of a hard boiled egg fan myself, and they had those too. 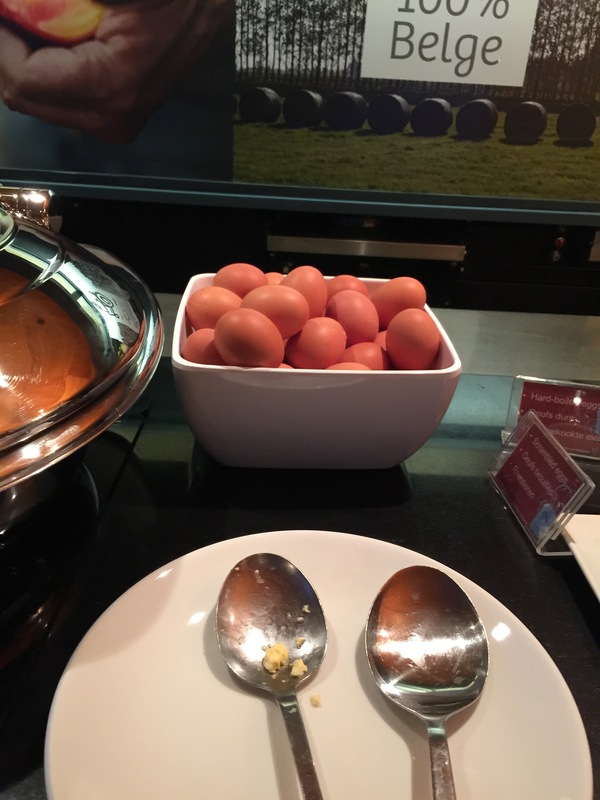 And they even had soft boiled eggs, which are really more of a European favorite. But it was nice to see them have all three different types of eggs. It was a great variety. Once we got to the meat section, there was the bacon. Piles and piles of that delicious, salty, cooked pork. And there was also sausage and sautéed mushrooms. I’m not a mushroom fan, so I would never think to pick any up for breakfast, but I’ve noticed that sautéed mushrooms for breakfast also seem to be a European favorite. Finally, we’ve got the potatoes. 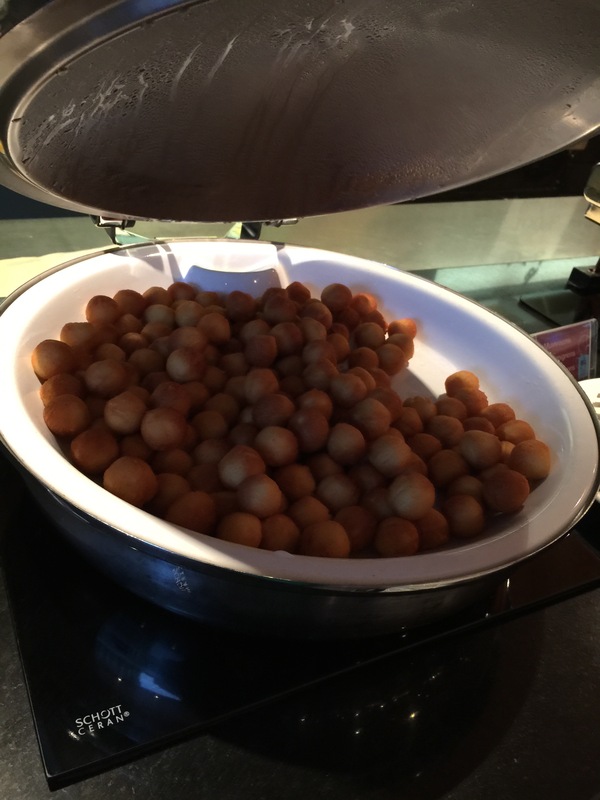 But instead of hash browns, as we’d expect to see in the United States, Crescendo Restaurant offered, what seemed to be potato puff balls. Part potato, part batter that was deep fried, it was definitely an interesting flavor combination and something unique and different. 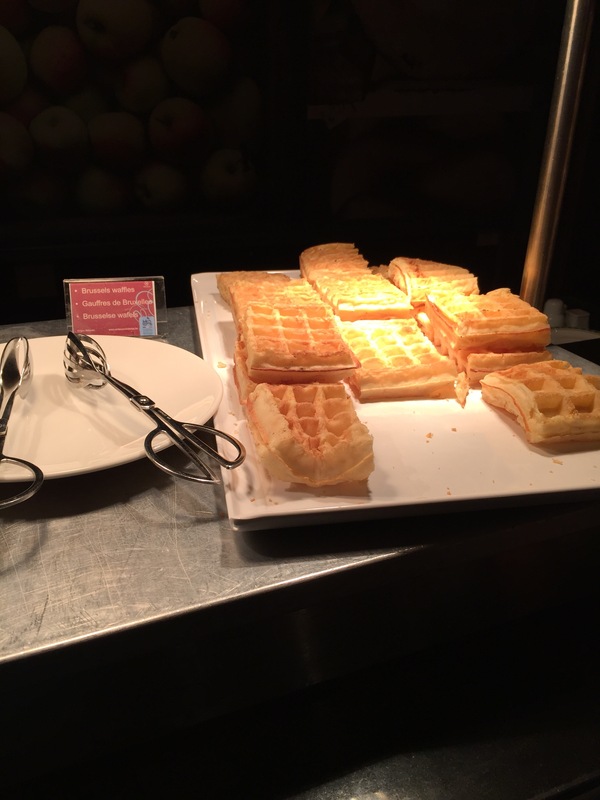 And finally, this couldn’t be a Belgian breakfast buffet without some crepes and waffles. In this case, we got Brussels waffles, light and airy and rectangular in shape. 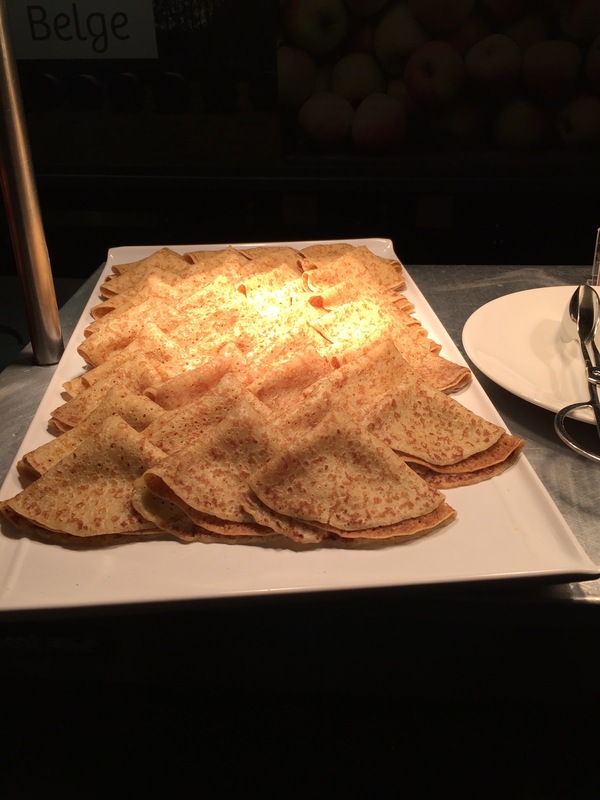 The waffles and crepes came with a variety of toppings: Nutella, peanut butter, butter, honey, powered sugar and various types of jams and jellies. 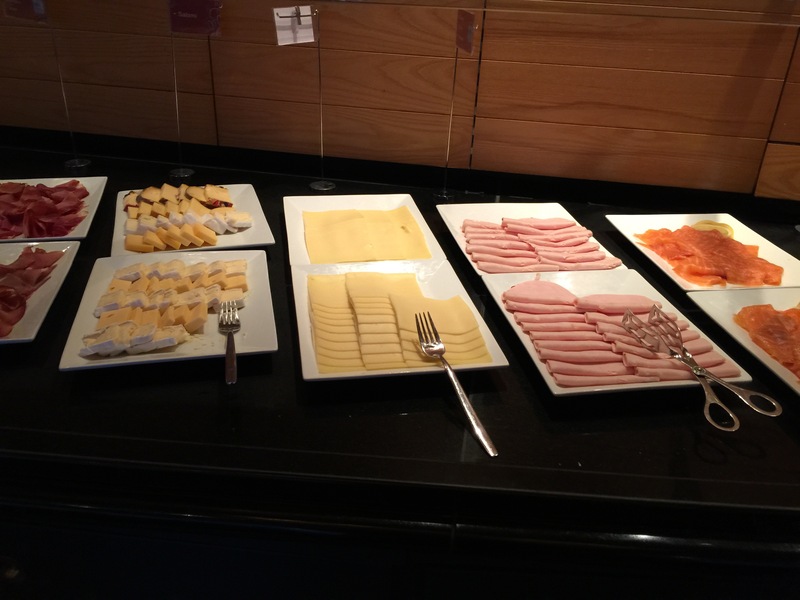 The morning breakfast buffet at Crescendo Restaurant was certainly very abundant in its offerings and varied as well, with everything from cold options to hot options. There was a little there for just about every taste, and I don’t think anyone walked out of the restaurant hungry. From eggs, to smoked salmon, and Brussels waffles to cheese Danishes, you were sure to find something to fill your belly and start your morning in Brussels on the right foot. 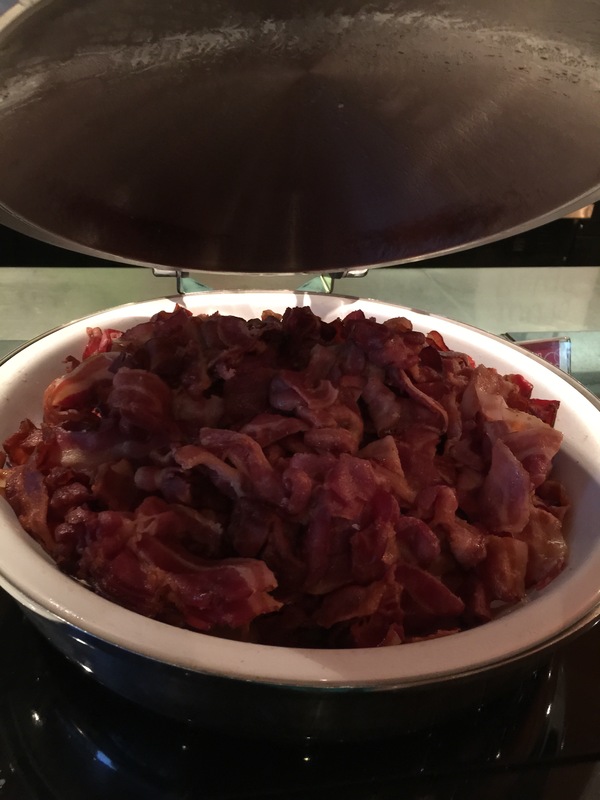 After all, when I go to a morning breakfast buffet at a hotel, all I’m looking for is something to fuel me up for the morning and get me going on a morning of sightseeing, and Crescendo delivered just that.